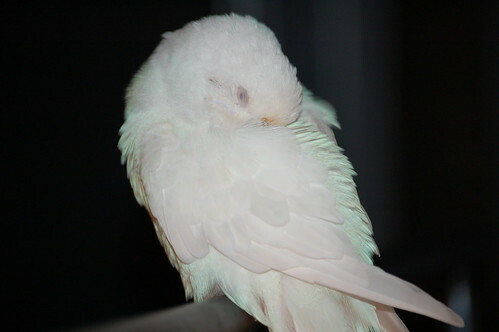 Are Your Birds Getting Enough Sleep? I was lying on my bed watching the History channel this morning, when Theo, my goffins cockatoo, toddled up to the side of the bed wanting to come up. I swung my leg over the side of the bed and she hopped on my foot waiting for the elevator ride up. She marched right up and took her usual spot on my chest, resting her head on my chin. It was just a couple of minutes before I could feel all of her body weight on the side of my face, and felt her head starting to to slide down my chin as she fell asleep. Suddenly her bobbed back up again and she looked at me as if to say: “I was just resting my eyes!” while she regained her composure and dignity. It happened again and then on the third pass, she fell fully asleep and remained that way for the duration of the program. She was tired. She hadn’t slept well the night before, and it was my fault. In addition to daily naps, a parrot needs an uninterrupted 10-12 hours of sleep in a dark location every night. 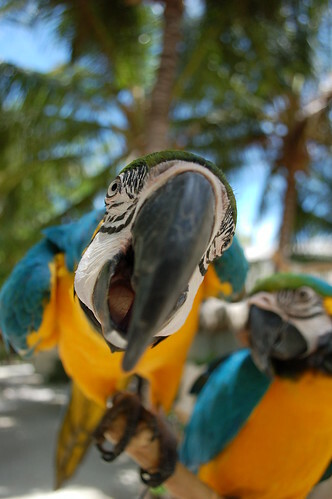 If you have noticed your parrot is grumpy, or even aggressive, sleep deprivation may be the cause. Think how irritable humans become when we don’t get enough sleep. Sleep deprivation over a period of time effects the the immune and cardiovascular systems. It can lead to depression, and in your parrot, serious behavioral issues. While providing enough hours is necessary, it’s just as important to create a restful environment. I choose to cover my bird’s cages because I find they sleep better when in an enclosed space. I leave a partial opening for the cockatiels to allow in a little light as they are prone to night frights, where they are startled in their sleep and fall or fly from their perches. Many people do not cover their cages at all, and their birds sleep just fine. Leaving your TV on at night could be disrupting your parrots sleep, even with the volume off, as could the porch light outside the window by his cage. Many people keep their parrots in the areas of their homes where there is the most activity, which is great because it allows them to be a part of all of the excitement. But it might be difficult to keep this area quiet when it’s birdie bedtime. A sleeper cage might be the right solution for you. 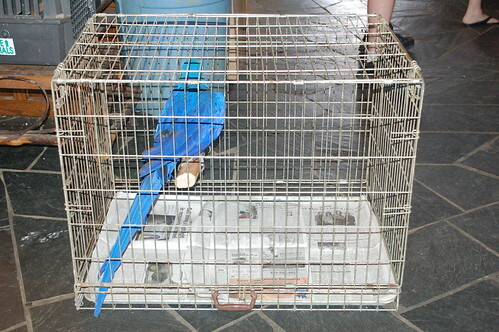 A travel cage, or a dog crate, that is outfitted with a perch and bowls of water and pellets and placed in a quiet room will offer the opportunity for a good nights sleep. The cage doesn’t need to be large, in fact, many parrot sleep better and feel safer in a more confined space. And there is no need to accessorize with toys since he will only be sleeping there. I keep food and water in place just in case, I have heard my cockatoos get up in the middle of the night for a snack. In the morning, you can return him to his main cage. During breeding season, you will find it very helpful in maintaining the emotions of a hormonal bird to see that it has enough sleep. Controlling the amount of daylight hours your bird experiences will help quell the urges as well. Day to day, ensuring a good night’s sleep will keep your parrot active, healthy and in a cooperative mood.